All educational and experience levels - click to view open positions. can be a source of strength and learning, shortening the severity and duration of difficulties experienced. are local, not disruptive to support systems, and return the client to the optimum level of life role functioning as soon as possible. provide individualized and specialized care for those coping with the disruptive and persistent problems associated with psychiatric disabilities. provide interventions and supports in partnership with clients and their families to promote and facilitate recovery. CCBC compliance officer Tom Loftus is a Senior Level CPI Certified Instructor and licensed mental health counselor. 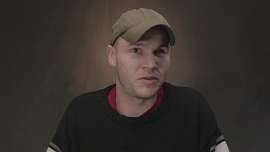 He’s made it a point to network globally with his peers in CPI’s online Instructor Community, helping human services professionals bridge their clinical expertise with the best practices of Nonviolent Crisis Intervention® training to facilitate true care and welfare while ensuring safety and security. On November 5th, he appeared on CPI's Unrestrained podcast, and discussed a range of challenges that many clinicians and human services professionals must resolve in their own careers. In October each year the Association for Behavioral Healthcare (ABH), a statewide organization representing over 80 community-based behavioral healthcare provider organizations, recognizes individuals and groups who have made impressive contributions to the field of mental health and addiction treatment. 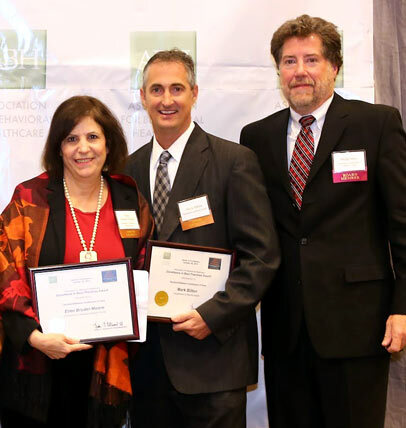 We are proud to announce that CCBC’s Taunton/Attleboro Continuum of Care was the recipient of the 2014 Excellence in Best Practices award. On behalf of ABH, we want to thank all of today's award recipients for the important work that they do, said Vic DiGravio, CEO and President of ABH. The dedication of everyone in this room to individuals and families struggling with substance use and mental health disorders is truly making a difference in our communities, and we salute you for your life-changing work. The Taunton/Attleboro Continuum of Care is a group that represents a network of organizations whose mission is to decrease homelessness and increase of affordable housing in the community. This housing network has promoted internal and external connections within the network of organizations in order to meet the needs of clients in various ways such as housing, behavioral health, physical health, employment, education, and socialization. The Taunton/Attleboro Continuum of Care, along with the 10 other awardees, was recognized at a ceremony at the Westin Hotel in Waltham. 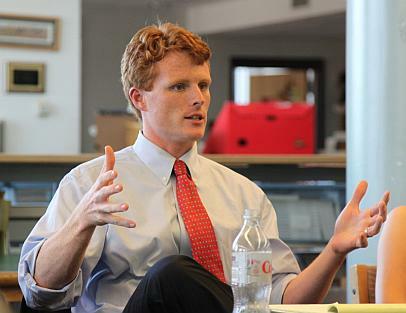 Congressman Kennedy met with local elected officials and law enforcement personnel to better understand the recent increase in lethal heroin overdoses in the region this past year and offer local communities federal support. In addition to supporting law enforcement efforts to curtail the availability of the drug, which can cost less than a pack of cigarettes, the Congressman recognizes the need for improved access to treatment for those with an addiction. 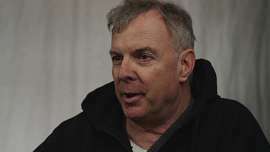 In order to better understand the problem of addiction, the Congressman met with a number of CCBC consumers who are in recovery from opiate addiction. 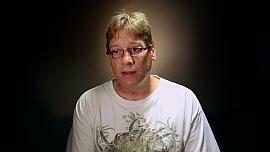 The individual stories of recovery were compelling and inspiring. Staff discussed with the Congressman the problem of limited access to necessary services, including detoxification services, residential treatment, and outpatient care. Staff informed the Congressman that 25% of referrals to CCBC from inpatient facilities are homeless at the time of referral. Difficulty accessing affordable housing constitutes a major barrier to recovery for many. The Community Mental Health Act of 1963 (CMHA) recently celebrated its 50th anniversary. This groundbreaking legislation was signed into law by President John F. Kennedy on 10/31/63, and authorized federal funding for community mental health centers in the United States. On November 1, 2013 CCBC staff, community partners, providers, elected officials, clients, and friends gathered at CCBC’s One Washington Street location to celebrate the 50th anniversary of this historic event. 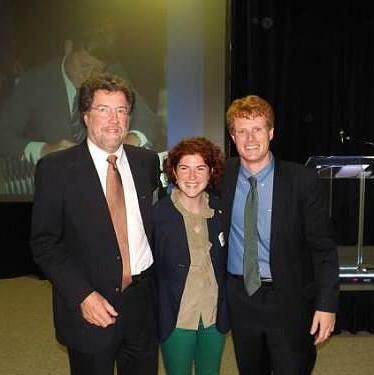 The evening was highlighted by a video debut of CCBC Client Stories in Recovery, a recognition award to Representative Patricia Haddad, a speech by Phil Shea, Fifty Years Later, The Vision, the Promise, and the Challenge, and remarks by Congressman Joseph P. Kennedy, III. Artwork from CCBC’s elder partial and day treatment client art show Connections was on display in the atrium and program storyboards were displayed in the hallways leading to the atrium. Guests were able to learn more about each program and chat with program staff as they walked through. It was a remarkable evening as we came together to commemorate such important legislation. 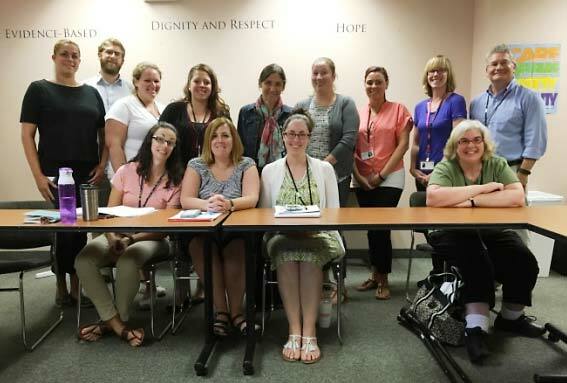 Community Counseling of Bristol County (CCBC) received notification that the Substance Abuse and Mental Health Services Administration (SAMHSA) has awarded the agency a three year grant through the Grants to Benefit Homeless Individuals-Services in Supportive Housing (GBHI-SSH) program. 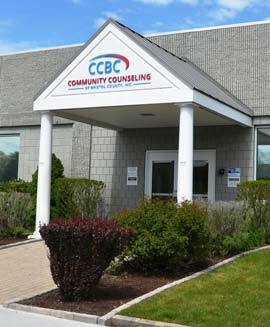 CCBC is a comprehensive behavioral health center based in Taunton, serving over 12,000 clients annually, with offices also in Attleboro, Brockton, Fall River, New Bedford and Plymouth. CCBC received the support of both the Massachusetts Department of Public Health (DPH), Bureau of Substance Abuse Services (BSAS) and the Department of Mental Health (DMH) in the development of the SAMHSA application and representatives from both agencies, along with other key stakeholders focused on ending homelessness in Southeastern Massachusetts, will participate on an Advisory Committee to support the successful delivery of the project. The project “Safe Harbor,” will be a program open to homeless veterans and chronically homeless individuals in southeastern Massachusetts who struggle with substance use or co-occurring substance use and mental health disorders. The goals are stable housing and improved health, mental health, safety, and self-sufficiency incorporating medical and behavioral health care and social need case management. CCBC will employ a “Housing First” model to help individuals secure and retain permanent rental housing quickly and without time limits. Many programs require individuals with a substance use disorder to be in treatment first, or to remain substance free to maintain their housing. The “Housing First” model focuses on finding the individual housing without any requirements tied to having a permanent place to call home. The goal of the Safe Harbor program is to decrease the number of homeless and chronically homeless veterans and non-veterans in our service area by achieving these measurable objectives: (1) Increase the number who are engaged in recovery services for mental health and substance use disorders; (2) Increase the number who are in safe and supportive housing that supports their recovery; (3) Increase the number who are gainfully employed and/or pursuing training and education to support gainful employment; and (4) Increase the number who have social support systems. Safe Harbor will serve approximately 35 clients annually and 120 over the life of the project by providing integrated and evidence-based services, including: (1) Permanent Supportive Housing using a Housing First approach and case management services to help clients access supports, including health insurance, health and social services, education, and employment resources; (2) Screening and assessment for substance use and co-occurring substance use and mental disorders; (3) Behavioral health treatment, including the "Seeking Safety " model which will be offered to all participants to address trauma and co-occurring substance use; and (4) Peer Support to provide guidance, support, empowerment, and hope from a trained peer counselor who has struggled with substance abuse and mental health issues and who is now successful in recovery. The program will begin on September 30, 2015 and is funded for three years at $327,314 per year to operate through 2018. For more information please contact Ellen Bruder-Moore, Vice President of Housing and Community Initiatives at CCBC by phone at 508-977-8123 or email at ebruder-moore@comcounseling.org. CCBC has been selected by The Trauma Center to participate in the evaluation of the Attachment, Regulation and Competency (ARC) framework for the treatment of complex trauma in children. The term complex trauma describes both children’s exposure to multiple traumatic events, often of an invasive, interpersonal nature, and the wide-ranging, long-term impact of this exposure. CCBC will be one of the three study sites in Massachusetts. The study aims to improve and expand the evidence base for ARC by comparing the efficacy of ARC to usual care. Complex trauma can have devastating effects on a child’s emotions, ability to think, learn, and concentrate, impulse control, self-image, and relationships with others. Across the life span, complex trauma is linked to a wide range of problems, including addiction, chronic physical conditions, depression and anxiety, self-harm, and other health problems. CCBC will provide services through the Children’s Outpatient Program under the direction of Jonathan Marcus, LICSW, Vice President of Children’s Services; Jennifer Booth, LICSW, ARC Supervisor; and Karen Turner, LMHC, Project Lead; as well as ten clinicians. This is a three year research project that will enroll 66 clients aged 8-16 and their caregivers. The Trauma Center will provide training, consultation and evaluation to staff. Attachment, Regulation and Competency (ARC) is a components-based intervention designed for youth ages 0-21 that have been impacted by complex trauma and their caregiving systems. ARC is designed to treat youth with a variety of trauma-related problems (e.g., PTSD, behavioral disorders, and attachment disorders). ARC’s main goal is trauma experience integration, and this is achieved through building trauma-informed caregiver skills and improving child-caregiver relationships (Attachment); assisting children with developing skills to manage internal experiences (Arousal); improving the child’s ability to read social cues and appropriately communicate their needs (Regulation); and building problem solving skills and resilience (Competency). ARC has been reported to reduce children’s post-traumatic stress symptoms and general mental health symptoms, as well as to increase adaptive and social skills. Caregivers have reported reduced distress and view their children’s behaviors as less dysfunctional. ARC is currently provided by both the In-Home Therapy Program and the Children’s Outpatient Program at CCBC. This month, following a successful survey by a team from the Department of Mental Health, CCBC became a Certified Community Behavioral Health Center. The process of certifying mental health centers was established by Congress in the Excellence in Mental Health Act and involves setting up a national demonstration project. The goal of the demonstration is to improve access to mental health services and improve outcomes for clients. A longer term goal pursued by our national organization is to establish some common definitions of a Mental Health Center or Behavioral Health Center so that greater federal support may be obtained, much like the support Community Health Centers receive. The Substance Abuse and Mental Health Services Administration (SAMHSA) has established standards for the nine services these Centers must provide and the outcomes that are to be measured. The nine required services include: crisis services; outpatient mental health and substance use services; care coordination; integrated treatment planning; use of standardized tools for screening, assessment, diagnosis and risk assessment; rehabilitation services; case management; peer services; and services to veterans and their families. Twenty four states have received planning grants. CCBC’s Management Team under COO Andy Dawley’s leadership did an excellent job completing the application and preparing for the site visit. We are now looking forward to the state’s submission of its proposal and hope that it will be selected as among the eight states in the demonstration project. Should Massachusetts be selected to participate in the demonstration project, the demonstration period would run for a period of two years. During this two year period, the required services would be financed through a prospective payment model that would fully cover the cost of delivering the required services. 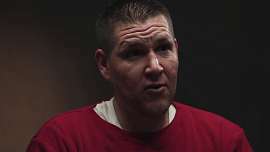 First hand experiences of CCBC clients show that treatment can get you on the path to recovery. Our vision: Provide behavioral healthcare solutions to improve lives and strengthen our community. The purpose and mission of Community Counseling of Bristol County, Inc. (CCBC) is to develop and deliver compassionate, responsive, culturally competent, and quality mental health and substance abuse services to meet the prevention, education, treatment, rehabilitation and recovery needs of those in our community. These services are based on the latest evidence-based approaches to respond to the complex needs of children, adolescents, adults, elders and families as part of a locally integrated health-care delivery system linked to regional and statewide delivery systems. 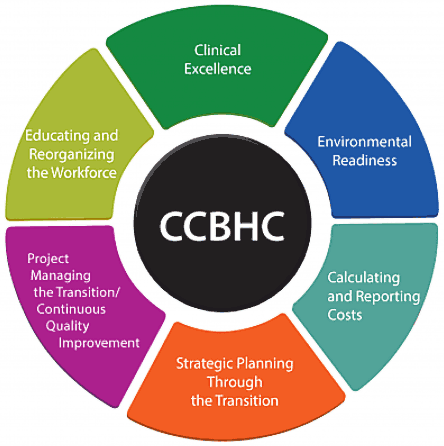 CCBC's goal is to create a continuum of care that allows our clients to receive the level of care that best meets their needs and assist them in achieving their goals. We seek to accomplish this for each individual in our care by: conveying respect and affirming the dignity of those we serve, delivering treatment based upon current evidence based practices, utilizing a strength-based person-centered approach, focusing on recovery, and maintaining a commitment to continuous quality improvement.